Halloween didn’t used to be one of my favorite holidays, but it’s become a pretty big deal since it’s also now my son’s birthday. Thanks! 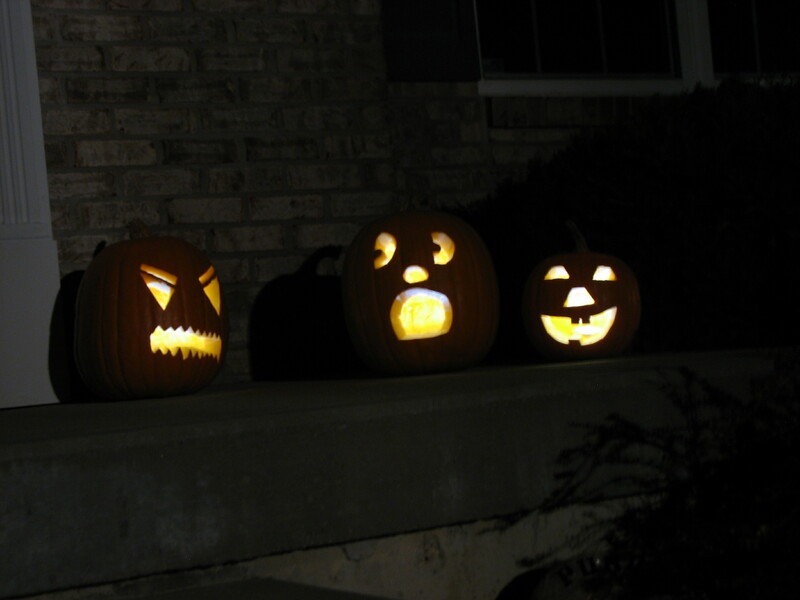 I had already carved the pumpkins on the left and right and then I had the idea for the last one. I get a chuckle every time I look at them. I did not, we named him Lukas. Happy Halloween for you too buddy! This year I dressed up in my usual Sunday clothes, and put a sign around my neck that said “Nudist on Strike”.